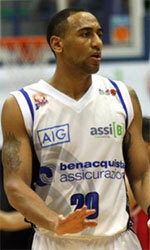 CAN Oruro (Libobasquet) landed 30-year old American forward Howard Crawford (205-107kg-88, college: UAB). He played in the summer at San Jose in Paraguayan Metropolitan League. Crawford managed to play in three leagues in three countries last year (!!!). The most of last season he spent at CDTinguiririca San Fernando in Chilean Liga Nacional where in 15 games he averaged impressive 18.9ppg, 8.2rpg and 3.1apg. It was a very successful season in his career as he was selected to Latinbasket.com All-Chilean Liga Nacional Honorable Mention. 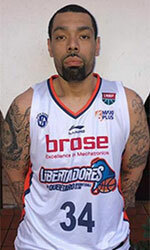 Crawford also played for Larre Borges in Uruguayan LUB that season. In three games he had 7.3ppg, 3.7rpg and 1.0apg. Among other achievements Crawford won Peruvian LNB championship title in 2017. He received also Eurobasket.com All-British EBL Division One Player of the Year award and Eurobasket.com All-British EBL Division One Forward of the Year award back in 2014. Crawford is a very experienced player. And here thanks to pro basketball he experienced life in eleven different countries playing on four different continents. He is familiar with European, Asian, Latin American and of course North American leagues. Crawford has played previously professionally in Estonia, Holland (Zwolle), Iraq (Al-Tadamoun and Nift Al-Janoub), Kuwait, Luxembourg, Mexico (Gigantes), Romania (Politehnica Iasi), United Kingdom (London Leopards), Peru (Regatas), Uruguay (Goes and Capitol) and Chile (Colegio Los Leones de Quilpue). He attended University of Alabama at Birmingham until 2010 and it will be his ninth season in pro basketball. Let's have closer look into Crawford's outlook: At 6'8 240lbs creates problems in the paint for any defender with his great footwork and ablity to finish above the rim. Very physical PF that rebounds and defends well inside. A leader on and off the floor.